Visit the most interesting sailing spots in Croatia! 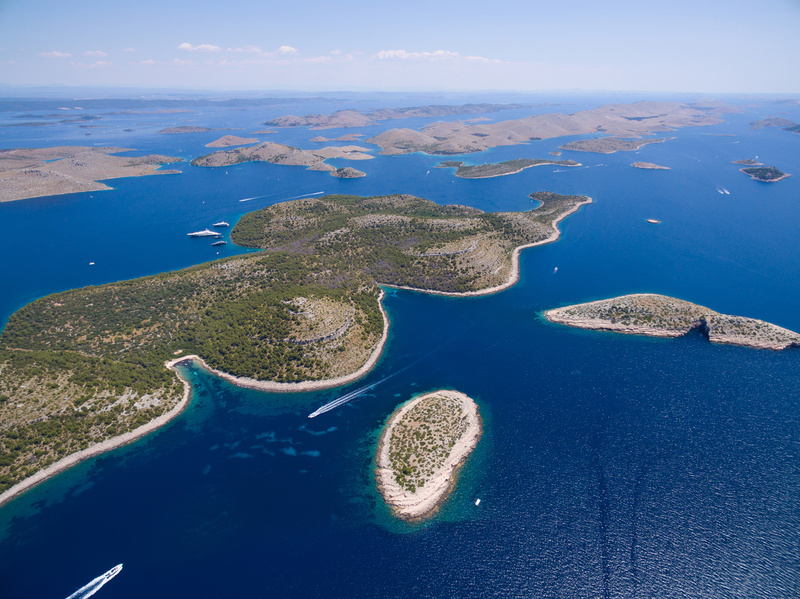 An archipelago of almost 150 islands, the Kornati are a truly unique must-see in North Dalmatia. A large part of this beautiful island group was declared a national park in 1980. With their many islets and reefs the Kornati islands are an excellent destination for enthusiasts sailing in the Adriatic. The ancient town of Hvar has a rich history and exquisite scenery which makes it a perfect choice for yacht charter in the Adriatic. It is one of the most popular sailing destinations in Croatia due to its untouched bays and warm climate and also the tourism center of the island of Hvar. The town of Vis developed from the Greek colony of Issa dating back to the 4th century BC, the ruins of which can still be seen in the town. Together with the town of Komiža it makes the island of Vis one of the most popular sailing spots in the Adriatic. It boasts wonderful secluded beaches and bays. Fantastic performance and style make this sailboat an ideal sailing option for larger families. The Cyclades 50.5 offers the space and luxury necessary for a safe and comfortable sailing experience. Its modern design and easy handling satisfy even the most demanding lovers of fast cruising yachts. Croatia is a boating paradise in the Mediterranean Sea. With its many islands and crystal clear water, it is one of the best destinations for sailing. 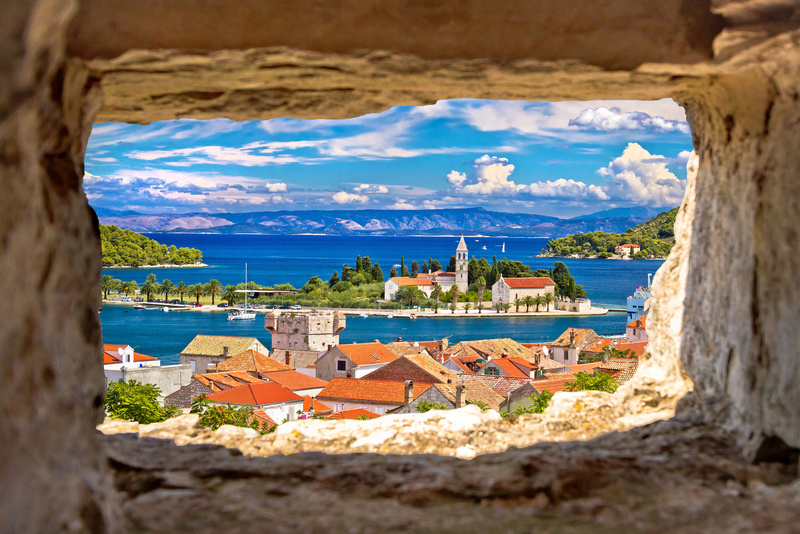 Croatia as a sailing retreat offers an incredible variety of choices - from relaxing in remote island villages to joining in on the bustle of modern seaports. Therefore, not only do you get the ideal sailing conditions, but also an opportunity to get to know the country's millennial history in its entire splendor. When you decide to go sailing in Croatia, there are several things you need to take into consideration. First of all, you need to get acquainted with the winds of the Adriatic in order to make sure they will always fill your sails and not catch you unprepared. The "Bura" is an unpredictable north-western wind blowing from the inland towards the sea. It blows in bursts and is both cold and dry, which makes sailing very challenging but also exciting. The "Jugo" is a south-western, warm and humid wind of moderate force that blows from the sea towards the inland. It offers a particular experience to dynamic navigators, since it enables sailing boats to reach high speeds. The "Maestral" is a typical summer wind on the Adriatic which blows from the north-west, bringing nice and stable weather. It is of moderate force and is therefore suitable for sailing. For those looking for sunshine, the Croatian coast offers it in abundance. With an average of 2600 hours of sunshine per year, it is one of the sunniest areas in the Mediterranean. 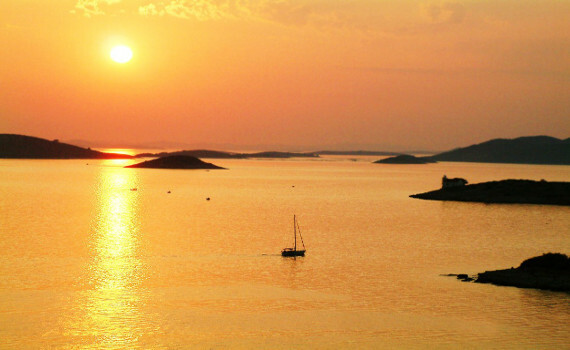 Sailing in Croatia can be very exciting due to 1185 islands, islets and cliffs, as well as innumerable splendid bays. There is a difference in the coasts of the northern and the southern Adriatic. In the northern Adriatic the distances between the islands are smaller, as are those between the islands and the coast and there is much more shelter from all weather conditions. In southern Dalmatia, it takes longer to reach another island, harbor or shelter by sailing boats. Croatia is an excellent destination to charter a sailing boat especially in the period between April and October. Summer temperatures can even reach 38°C, whereas the sea temperature amounts to pleasant 26°C during the summer period. High season (July and August) offers lots of fun, entertainment and excitement, whereas the diversity of the Croatian coast also offers many peaceful and quiet places for guests looking for a rest far away from loud disco clubs. Croatia is an excellent destination for yacht charter, but if you want to explore other options before making the final decision, check out our other pages dedicated to top charter countries. Discover Greece and its beauties on Sailing Greece Boats or find out why the Caribbean is one of the most popular sailing destinations on Sail Caribbean Yachts. Explore Italy and its secrets on the page Cruise Italy Yachts and make an informed decision for an unforgettable sailing vacation. Sailing Croatia Boats is a proud member of a leading SailingEurope Yacht Charter Group. Bringing holiday ideas to life!